California officials lifted the evacuation orders for residents downstream of Oroville Dam, saying the dam may hold up to upcoming storms. Almost 200,000 residents have already been evacuated after erosion threatened the emergency spillway. The Butte County Sheriff’s Department cited “lower lake levels, further inspections, ongoing work to shore-up the Oroville Dam emergency spillway and updated weather forecasts” to announce the change at 1pm local time on Tuesday. “Any resident displaced by the evacuation may return home at 1:00 pm; however all residents are advised to remain vigilant and prepared as conditions can rapidly change. People who have special needs or require extended time to evacuate should consider remaining evacuated,” said the announcement, issued by Sheriff Kory Honea. Lake Oroville Dam, located 65 miles (105km) north of Sacramento on the Feather River, is America’s tallest dam at 775 feet (235m). 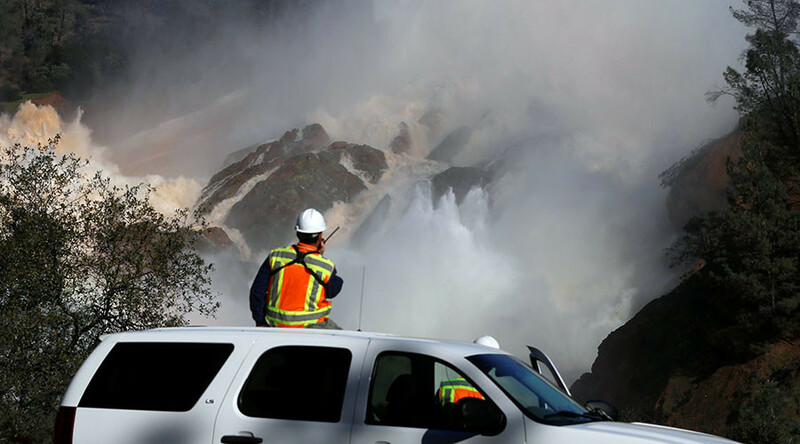 Some 188,000 people downstream of the dam were evacuated beginning Sunday, after California’s Department of Water Resources (DWR) said the spillway could “fail within the next hour” as water levels in the lake rose due to record rainfall.